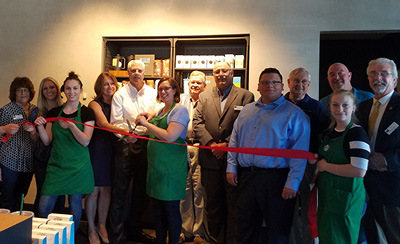 Mayor Barrett Pedersen, Trustees and Village staff held a ribbon cutting in June, 2017, to welcome Starbucks to Franklin Park. The popular international coffee retailer moved into a recently-constructed 2,500 SF building at 2800 Mannheim Road, on the northwest corner of Grand and Mannheim. The new retail facility features a drive-thru, an outdoor patio, a bright and spacious interior and nitro cold brew coffee on tap. The new Starbucks is located on a former BP gas station site, which was remediated by the property owner in 2009. 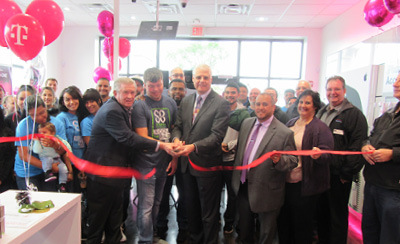 The Village is pleased to welcome T-Mobile to Franklin Park. 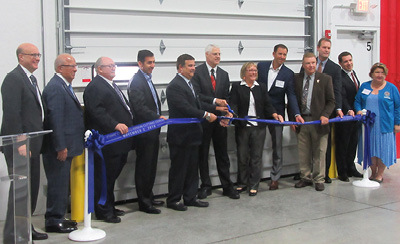 Mayor Barrett Pedersen, Trustees and Village staff held a ribbon cutting to celebrate the business's new facility at 2926 N. Mannheim Road, Unit 3. At their grand opening event, T-Mobile invited employees to shave their heads to raise money for Franklin Park children fighting cancer through the St. Baldrick's Foundation. T-Mobile's brand new space is part of a three-unit, 6,000 SF commercial development recently constructed by Glazier Corporation. 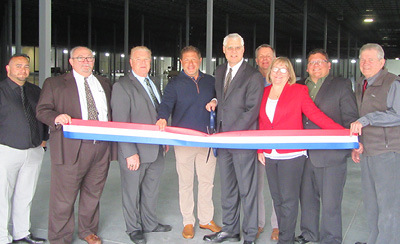 The Village of Franklin Park held a ribbon cutting to celebrate the completion of the largest construction project of 2016: a new 491,089 SF industrial speculative development by Panattoni Development Group at 3400 Wolf Road, the former site of Castle Metals. Over 300,000 square feet of the building has already been leased to distribution firm CST. Panattoni Development Company is one of the largest privately held real estate development companies in the world and has 24 offices in the United States, Canada and Europe. 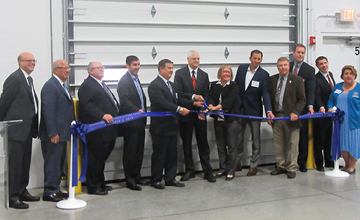 The Village of Franklin Park celebrated the construction of a new 367,000 SF industrial speculative development by Molto Properties with a ribbon-cutting in early November of 2016. The new building at 10501 Seymour Avenue will be followed by construction of a second 106,000 SF industrial speculative building on the same site. Colliers International is currently seeking industrial users for the new space, which is located across the street from O’Hare Airport and less than a mile to I-294 and the I-90 interchange. The Cooking Channel stopped by Paula’s Cafe and Catering in Franklin Park last week to film a segment for the show “Food: Fact or Fiction.” Host Jeff Mauro, also starring in the Food Network’s “Sandwich King” and “The Kitchen,” visited the local restaurant to learn how to make the best Italian meatballs from Paula herself. Set to air on the Cooking Channel in October, the show’s exact date and time will be posted so that you can watch our local celebrity Paula in action. 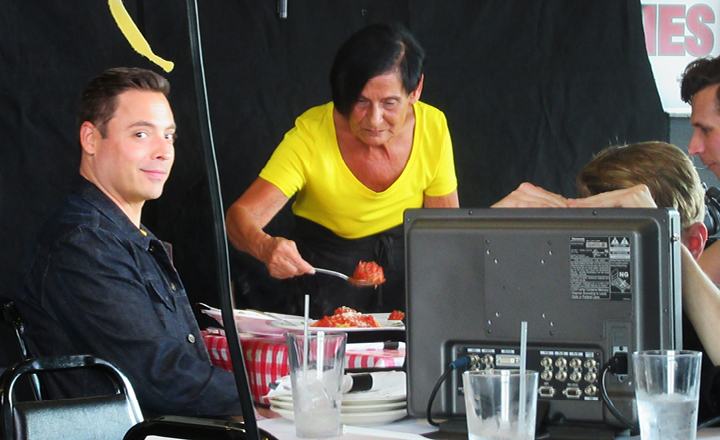 In the meantime, stop by Paula’s Cafe at 9400 Grand Avenue to try her famous meatballs yourself. 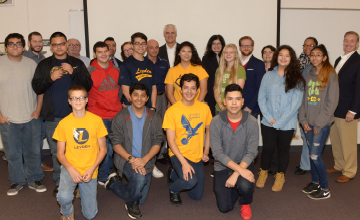 The Illinois Tollway hosted a meeting with the business community on Friday, May 13 at the Franklin Park Police station to provide business owners and operators with an update on the Elgin O’Hare Western Access (EOWA) project. A full room of attendees was given information on the Tollway's on-going construction of Illinois Route 390 (formerly the Elgin O’Hare Expressway) and future plans for work on the southern leg of the project, which will pass through Franklin Park’s western industrial corridor. 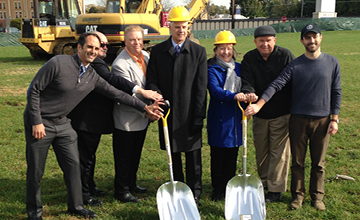 Utility work for the project will begin in Franklin Park Summer of 2016. 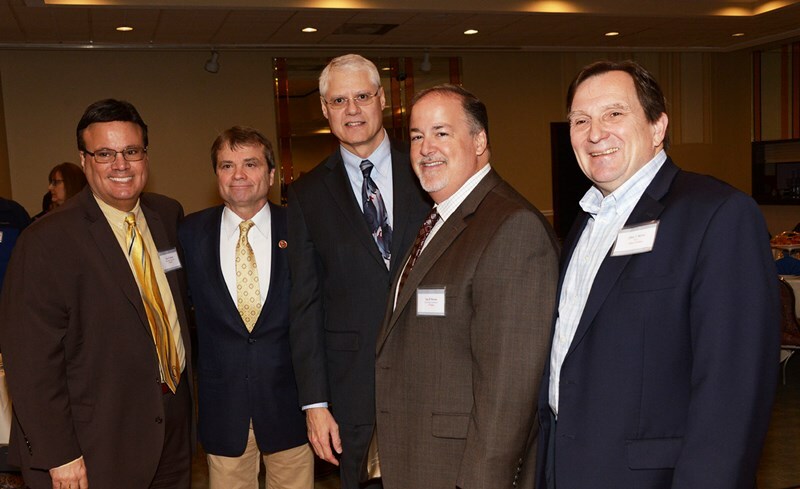 View or download the Tollway's May 2016 Franklin Park Presentation to learn more. In a move that is intended to make northern Illinois more attractive to expanding and prospective businesses, ComEd has modified a policy that requires some business customers seeking new or expanded electric service to provide an upfront deposit. 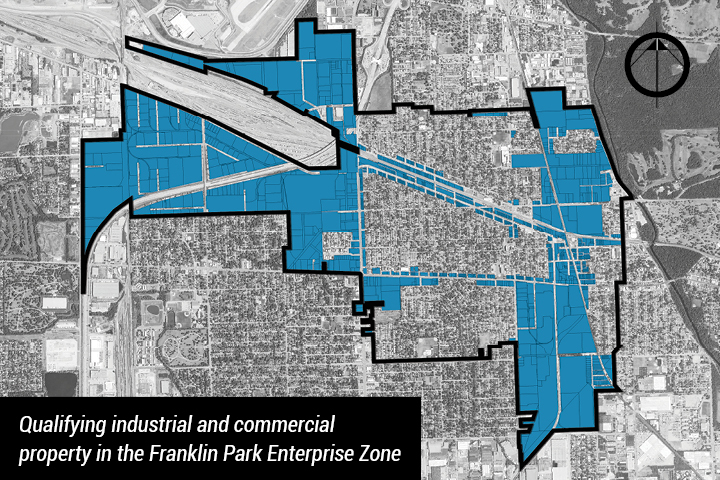 The changes are great news for Franklin Park's expanding and future big energy users. ComEd's News Release contains more information on the policy changes. ABC Channel 7's Hungry Hound recently visited the father-son team producing a spreadable sausage in Franklin Park. The spicy, spreadable salami with origins in the Calabria region of Italy is called nduja and is growing in popularity in the U.S. food world. The product can be found in stores like Eataly and Mariano's, as well as in upscale restaurants. Click here to read ABC 7's article about the nduja sausage producer and click here to visit the Nduja Artisans website. ABC Channel 7's Hungry Hound recently visited Angelo Quercia's new gelato manufacturing facility in Franklin Park. Angelo Gelato Italiano, which is produced in over 100 flavors, can be found at over 200 independent restaurants and grocery stores in the Chicago area and is now shipped across the country. Click here to read ABC 7's article about the gelato maker and click here to visit the Angelo Gelato Italiano website.